Our Temple Shalom Book Club is back for its 18th year! Join Janice Zalen and Stu Bassin for lively discussions of quality books. Sessions are on Sunday mornings -- discussion with bagels and coffee. Free and usually quite interesting. Join us. 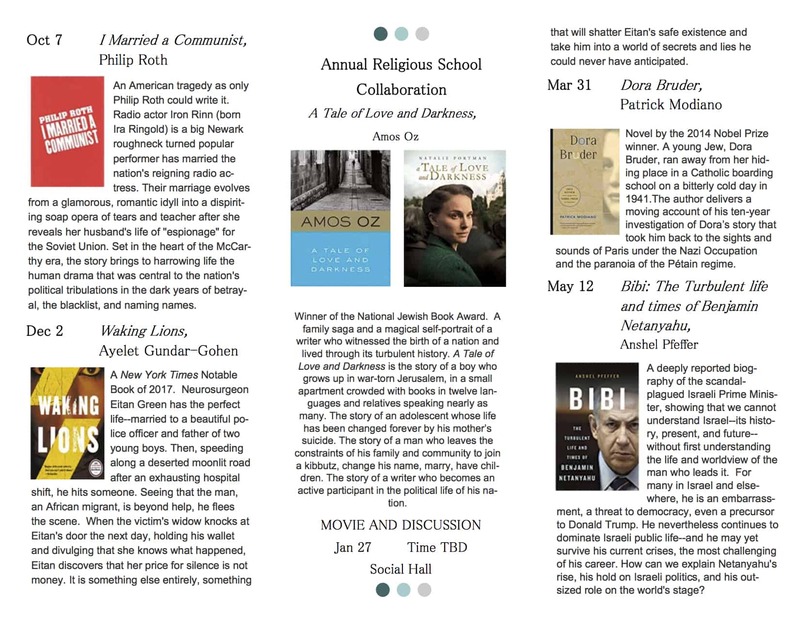 Click here to download the complete list or see below the upcoming Book Club events.